Uber is contesting a proposed Massachusetts rule that would limit the number of hours its drivers can work. Uber, which has earned a reputation of fighting regulators at nearly every turn, is contesting a proposed rule in Massachusetts that would cap the number of hours its drivers can work in a day or week, despite complying with similar standards elsewhere. The Massachusetts Department of Public Utilities would bar drivers of ride-hailing services from working more than 12 consecutive hours, 16 total hours in a single day, or 70 hours in a week. 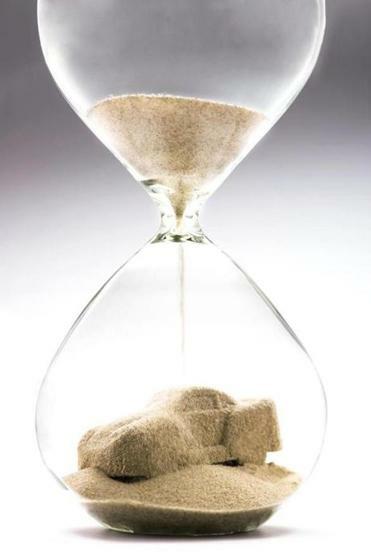 Any driver who logged 16 hours in a day would be required to take eight hours off. Such restrictions are becoming more common as authorities in many states seek to prevent accidents from tired drivers. But in a letter submitted to the Massachusetts regulators this week, Uber said the proposed limits are “overly burdensome,” and urged officials to take a “flexible regulatory approach” to driver hours. Yet Uber complies with similar restrictions in many other jurisdictions. In New York City in 2016, the company voluntarily imposed limits on drivers after the New York Post quoted several Uber drivers complaining about working double-digit shifts in order to make a living. At the time ride-hailing companies were not bound by a city rule prohibiting taxi and limo drivers from driving more than 12 consecutive hours. New York subsequently required Uber drivers to limit their hours. Other jurisdictions have similar measures to prevent drowsy driving. Colorado, for example, requires drivers to take an eight-hour break after 12 hours on the road, and Nebraska limits drivers to 12 hours of work for every 24 hours. In Massachusetts, Uber’s top competitor, Lyft, is not contesting the proposed driving limits. Lyft’s app already limits hours by requiring drivers to take a six-hour break for every 14 hours they work, regardless of whether the hours are consecutive. And public safety experts said a 12-hour driving limit is, if anything, too generous. In its short corporate life Uber has consistently resisted regulations it considers unfair. It has entered markets where its legality was uncertain, used technology to avoid law enforcement and government officials in those cities, and exited municipalities to protest background check requirements for drivers that the company considers too burdensome. The DPU is considering final rules for ride-hailing companies and drivers in Massachusetts. It declined to comment on specific proposals during the rule-making process, saying it “looks forward to working with stakeholders to strike the right balance between the state’s interest in protecting public safety and allowing this innovative industry to thrive.” Final regulations are expected to be released in November. In its letter, Uber said there is no need for government regulation of driver hours because its own company policies say tired drivers should take a break. Uber also said it could send warnings to drivers about working while tired. Uber argued that if workers in other industries do not face similar requirements, its drivers shouldn’t either. Cambridge, meanwhile, limits drivers to 12-hour shifts every 24 hours for “the safety of the drivers, passengers, and anyone else on the public way,” according to Nicole Murati Ferrer, chairwoman of the Cambridge License Commission. Truck drivers, meanwhile, are required by federal rules to take a 10-hour break after driving for a certain period. In a statement to the Globe, Uber offered another reason it opposed the proposal: Many drivers work for both Lyft and Uber and can extend their driving day by going back and forth between services. “Hours caps on one service won’t keep drivers from working for multiple services consecutively, defeating the purpose of implementing a cap in the first place,” Uber said.